Home > Shopping Store > Jams & Condiments Shopping Cart > Pumpkin Butter-19 oz. 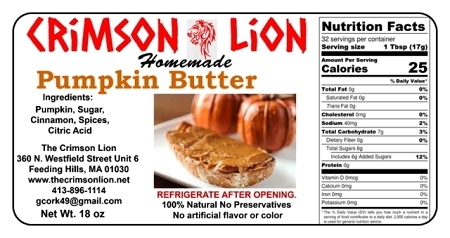 Pumpkin Butter is very popular at shows/events. We recommend mixing with vanilla ice cream or using as a cake icing. Contains pumpkin, sugar, cinnamon, vinegar, spices.